The bond between the boy and his grandmother becomes the centrepiece of the tale--a partnership of love and understanding that survives even the boy&apos;s unfortunate transformation into a mouse. And once the two have teamed up to outwitch the witches, the boy&apos;s declaration that he&apos;s glad he&apos;s a mouse because he will now live only as long as his grandmother is far more poignant than eerie. Mr and Mrs Twit are extremely nasty, so the Muggle-Wump monkeys and the Roly-Poly bird hatch an ingenious plan to give them just the ghastly surprise they deserve! This edition has a great new Quentin Blake cover as well as a whole new exciting end section about Roald Dahl and his world. For the first time in a decade, Willy Wonka, the reclusive and eccentric chocolate maker, is opening his doors to the public--well, five members of the public, actually. The lucky five who find a Golden Ticket in their Wonka bars will receive a private tour of the factory, given by Mr Wonka himself. For young Charlie Bucket, this a dream come true. The BFG is one of Dahl&apos;s most lovable character creations. Whether galloping off with Sophie nestled into the soft skin of his ear to capture dreams as though they were exotic butterflies; speaking his delightful, jumbled, squib-fangled patois; or whizzpopping for the Queen, he leaves an indelible impression of big-heartedness. 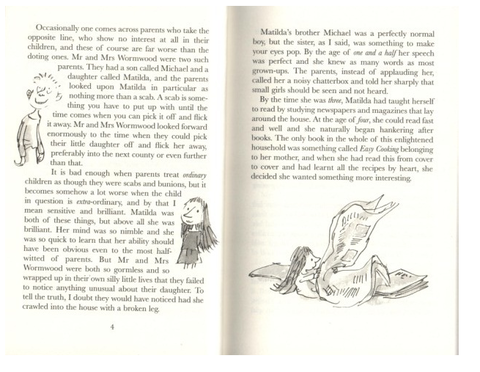 In this award-winning Dahl title Matilda invents a game of punishing her parents when they treat her badly. She soon discovers that she has supernatural powers. New Quentin Blake cover as well as a whole new exciting end section about Roald Dahl and his world. A new edition of the well-loved story of Danny and his father who outwit their greedy, rich neighbour, Mr Victor Hazell. With a great new cover by Quentin Blake as well as a whole new exciting end section about Roald Dahl and his world. In this popular Dahl story, George creates a very special medicine to cure his grandma of her nasty habits. Great new Quentin Blake cover as well as a whole new exciting end section about Roald Dahl and his world. 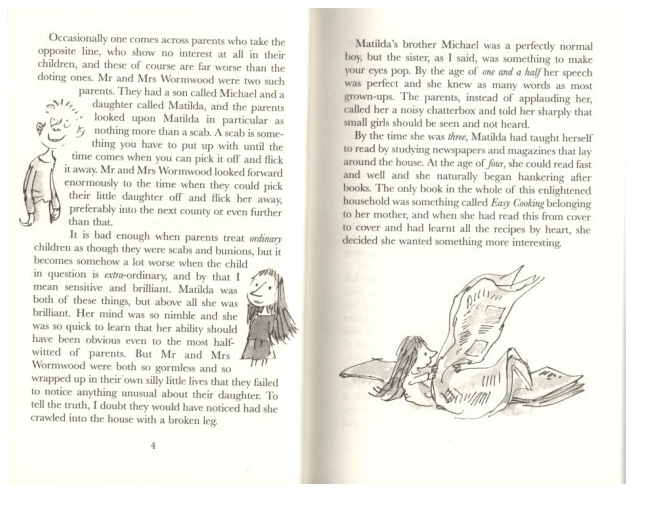 The remarkable story of Roald Dahl&apos;s early years at school and with his family. 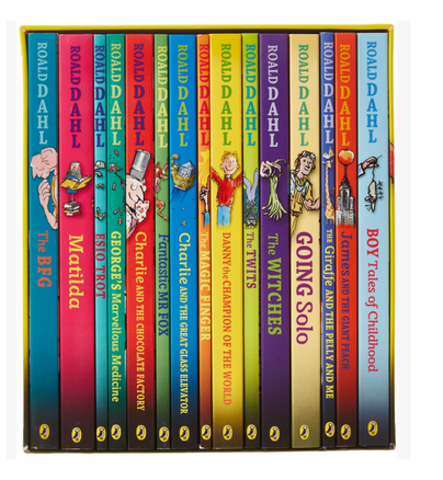 Like his stories, Dahl&apos;s childhood tales are unmissable. This edition has a great new Quentin Blake cover and a new end section of facts about Roald Dahl. The giraffe, the pelican and the agile monkey set out to prove that they are the best window-cleaning company around. 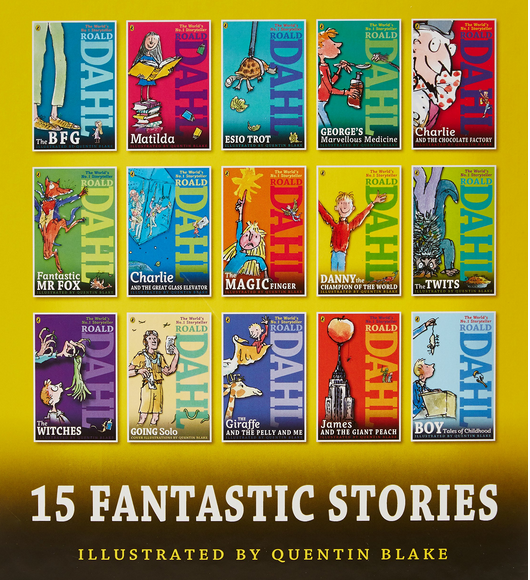 This edition has some new facts about Roald Dahl, and a great new cover featuring Quentin Blake&apos;s illustrations. The second part of Roald Dahl&apos;s remarkable life story, following on from Boy, tells of his time working in Africa and his wartime exploits. 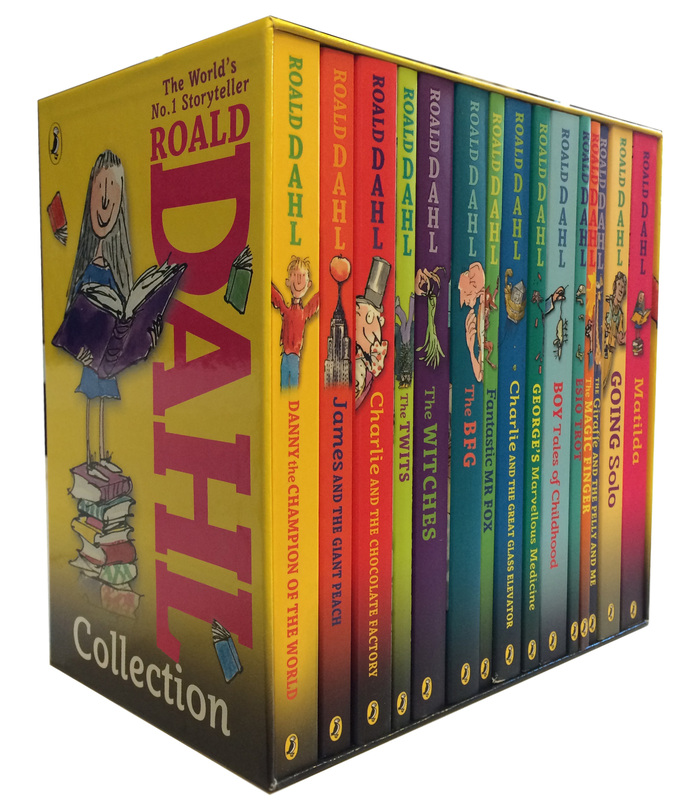 This edition has a great new cover with illustrations by Quentin Blake, and some new facts about Roald Dahl and his world. The wonderful warm-hearted story of Mr Hoppy, Mrs Silver and the tortoise who brings them together. This edition has a great new Quentin Blake cover as well as some new biographical facts about Roald Dahl.